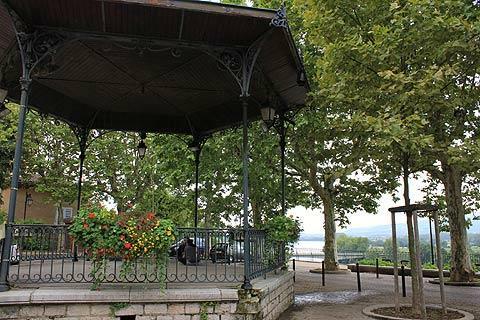 Trevoux is a quiet little town on the edge of the Saone river about 25 kilometres north of Lyon. The town has a number of impressive buildings, evidence of the town's historic importance. 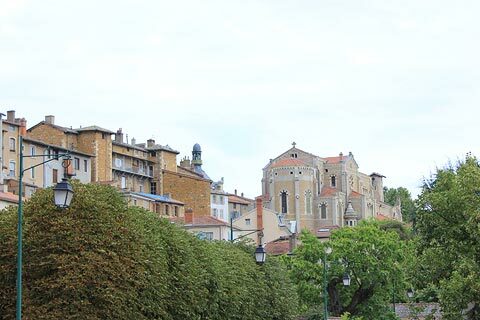 Trevoux was once the capital of the Principality of the Dombes and part of the Germano-Roman Empire. It has a medieval fortified keep built during this period of its history. 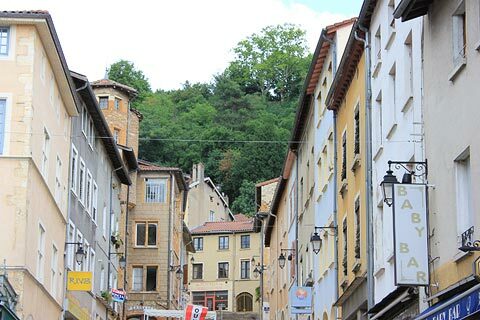 During the 18th century Trevoux was the seat of Parliament for this area. 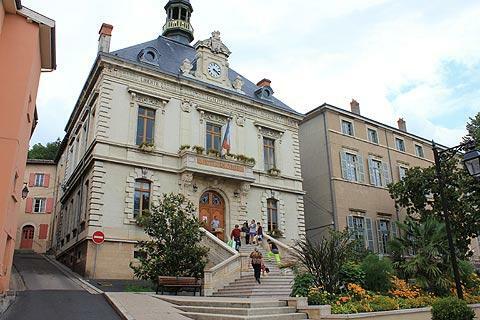 Start your visit at the Trevoux tourist office: they can give you a map which highlights the key sights in the town. The tourist office is housed in the 'Sires de Villars house', a historic house with an attractive stone oriel window and is home to an exhibition of diamond dies - the things that a wire is passed through to make it smooth and even (in recent times Trevoux has established an important industry of wire making using diamond dies). 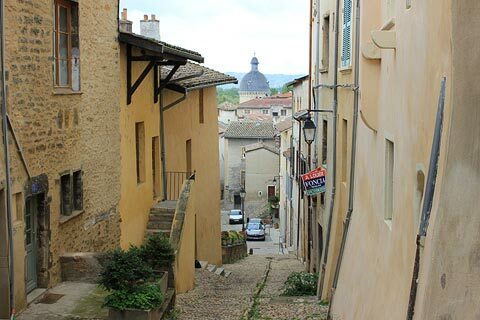 From the tourist office head up the Rue du Port and you will see some fine 15th and 16th century houses. A little further east is the Hopital Montpensier which was opened in 1686 and contains an interesting apothecary collection. 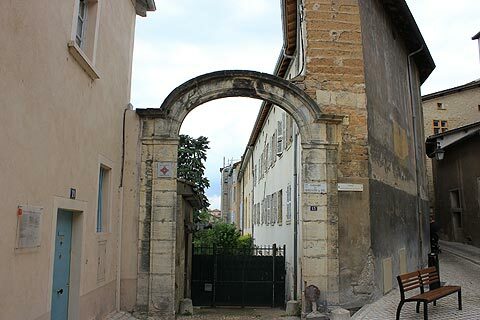 One of the main buildings to see in Trevoux is the old parliamentary building, the Hotel du Gouvernement de Dombes, which was built in the 17th to 18th century. The 'Salle d'audience' has practically every inch of its walls and ceilings covered in beautiful paintings, and is really quite an impressive sight. 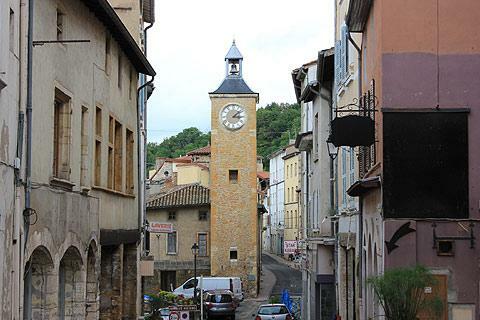 Other sights to see include the Villars gateway - a stone entranceway through the medieval fortifications; a 17th century clock tower; and the printing houses where the famous 'Trevoux Dictionary' was produced. 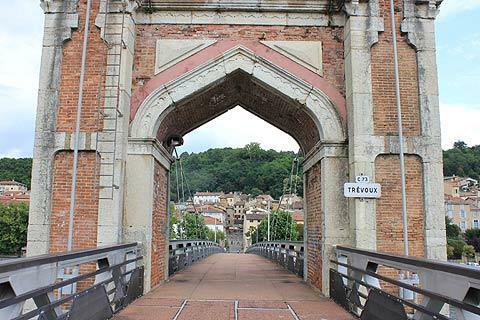 Trevoux was once famous for its dictionary - the dictionnaire de Trévoux' - which was known throughout Europe in the 18th century. 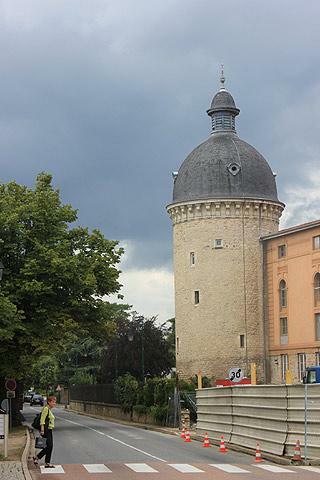 At the top of the town you can see Trevoux's fortified castle with its octagonal tower. The chateau was built in the 14th century and has an attractive striped pattern built into its brickwork. Guided visits are available on weekends from April to September. 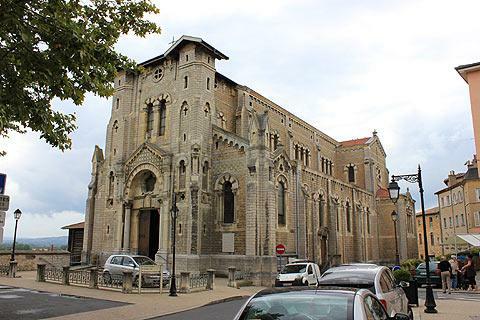 There is quite an imposing church in Trévoux, athough it is of recent (19th-20th century) construction and has no belltower. You might notice that the entrance to the church is at the east end of the building, unlike most churches where the entrance is to the west: this is due to complications in building the church on a steep slope. 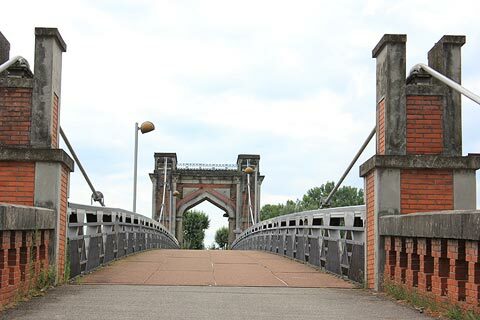 You can also take a stroll along the river for a nice view of the countryside and the bridge. There is an aquapark called Les Cascades which is popular with families. Another town typical of the region can be visited at Anse, a short distance west of Trévoux.